One of our top clicked emails as well as a large driver to our Pinterest boards. 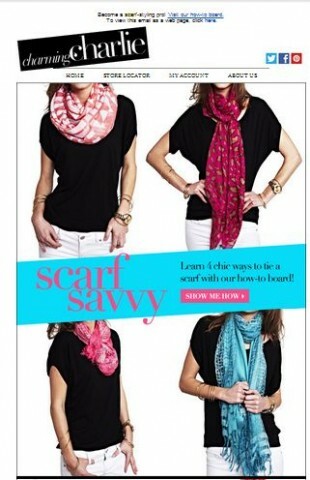 The email focused exclusively on 4 scarf tying tips and drove consumers straight there. This type of content got massive kudos from our customers and helped build our fashion credibility.